Choosing where to stay in San Sebastian is one of the most important travel decisions before visiting this famous (and spectacularly beautiful!) Spanish coastal retreat. As a top resort city and one of the top travel destinations in Spain, San Sebastian caters to tourists. Near the pristine beaches, the main sightseeing area is packed with hotels and restaurants for travellers. Closer to the city centre and lush hillsides, you’ll find some of the top things to see & do in San Sebastian, including exploring the neo-gothic architecture in Parte Vieja or filling your stomach on mouth-watering pintxos. 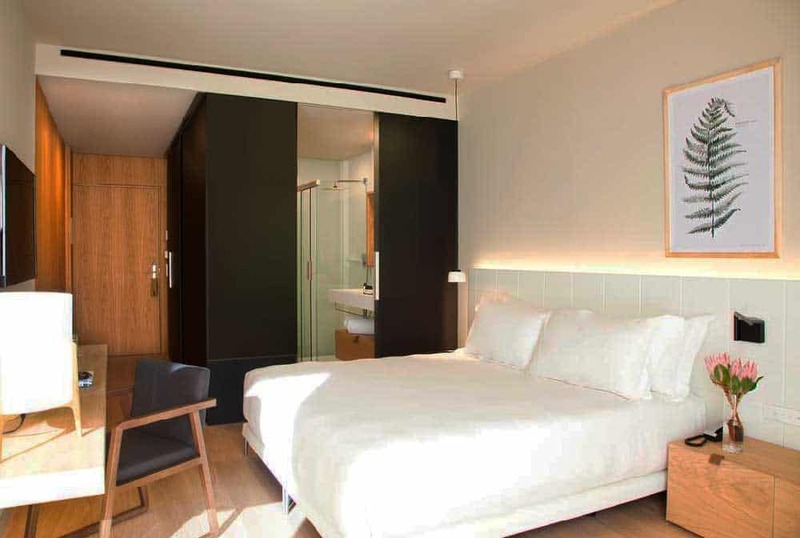 One of the most conveniently located hotels, Room Mate Gorka, provides the perfect spot to start exploring San Sebastian. 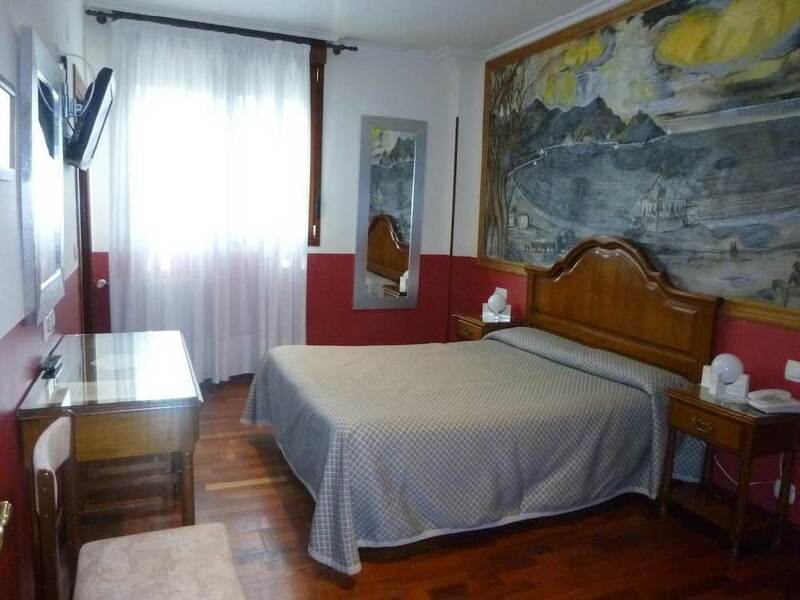 It’s just a seven-minute walk from Calle Mayor and less than 800 feet from the main attractions in historic old town. 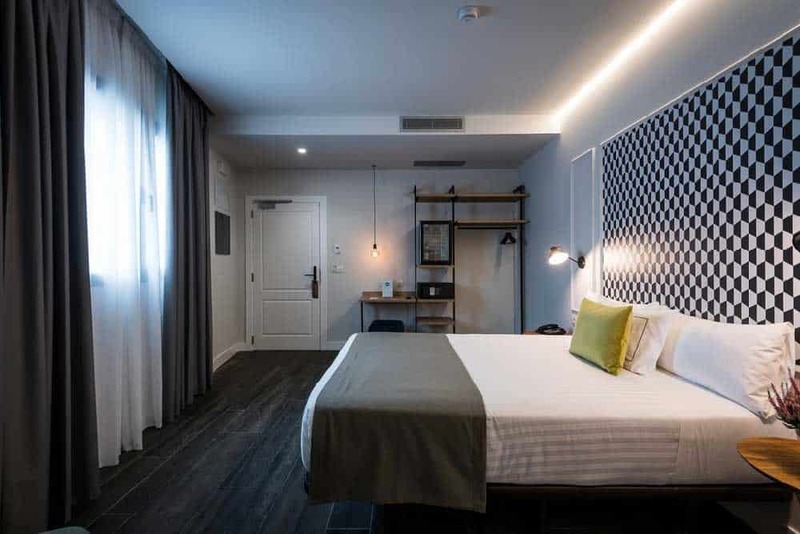 While there are not a lot of amenities or special features at Room Mate Gorka, you can easily visit every area you’ll want to see in your San Sebastian itinerary on foot when staying at this hotel. The beach is about 12 minutes away while the Victoria Eugenia Theater is just around the corner. As a four-star hotel in a popular resort city, vacancies tend to fill up quickly. If you’re planning on staying here, it’s a good idea to book as early as you can. Overlooking the promenade at La Concha Beach, Hotel Niza is a great place for those that want to spend most of their trip at and around the beach. You’re less than 200 feet from the water. Staying near the beach also provides access to endless bars and cafes and line the promenade. You may also find reasons to stay inside at Hotel Niza, thanks to the onsite Narru Restaurant run by a popular local chef. 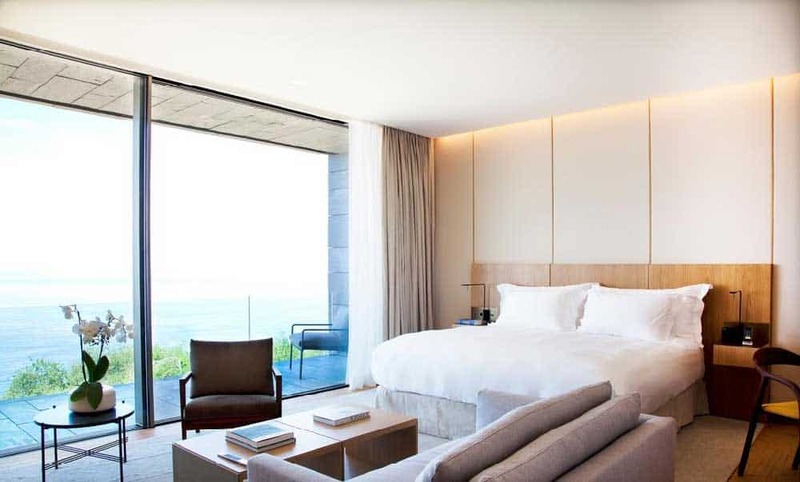 Many of the rooms also feature views of the beach, depending on which side of the hotel you are staying in. Some of the rooms include balconies with small doors that open out. In the evening, you can open the door to the balcony to let the gentle crashing of the waves lull you to sleep. 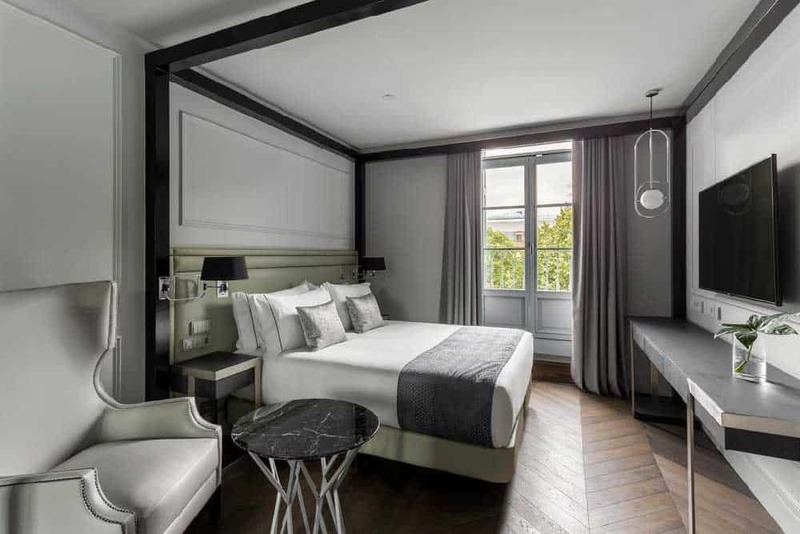 As is the case with Akelarre – Relais & Chateaux, the best hotels in San Sebastian don’t always provide convenient access to the top attractions. This hotel is located on top of a hill overlooking the bay. You won’t be able to walk to all the landmarks, but you’ll get five-star service and the fanciest accommodations in the city. Every guest gets the celebrity treatment at Akelarre – Relais & Chateaux. Each room is outfitted with fancy furnishing while the suites have their own private pools. The hotel also has two onsite restaurants, with one restaurant receiving three Michelin stars. As the hotel is further from the action, the hotel provides a free shuttle service. Other special features include a wine cellar, wellness centre, and a Turkish bath. At the northeastern end of the bay, you’ll find Lasala Plaza Hotel. This mid-range resort is right near the beach, with many of the rooms offering a waterfront view. While Lasala Plaza Hotel is a quality establishment, the furnishings and décor feel homely and comfortable. 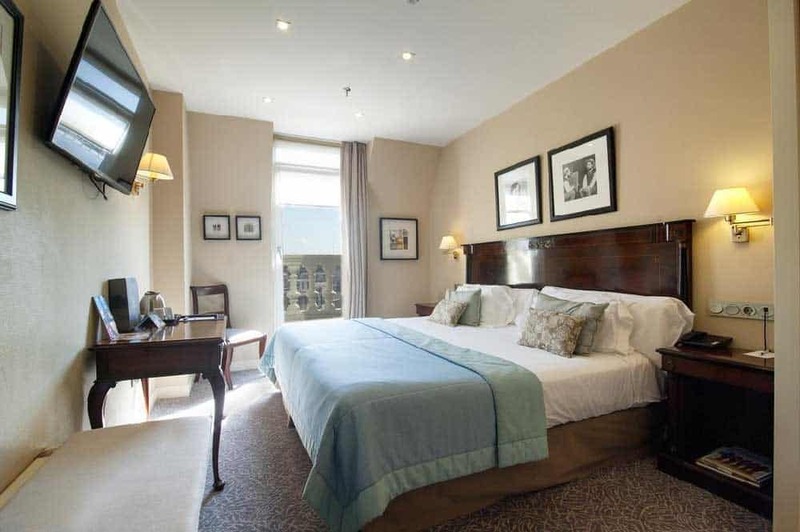 It’s a pleasant place to stay and one of the more charming hotels in the city. It also includes a rooftop pool and deck that look out over the water. As you’re near the northeastern edge of the city, you can see most of the bay. The hotel is around the corner from San Sebastian City Hall and the Tourism Office. While you’re not in the heart of the city, it should only take a few minutes to walk to the old neighbourhood. 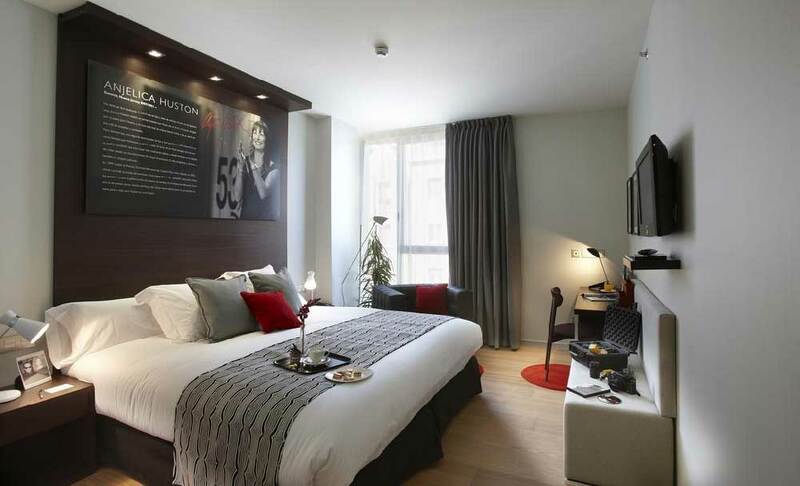 Movie fans may enjoy a stay at Hotel Astoria7, where the rooms are dedicated to cinema and the San Sebastian Film Festival. Each room includes a different theme related to a popular movie, actor, or actress. 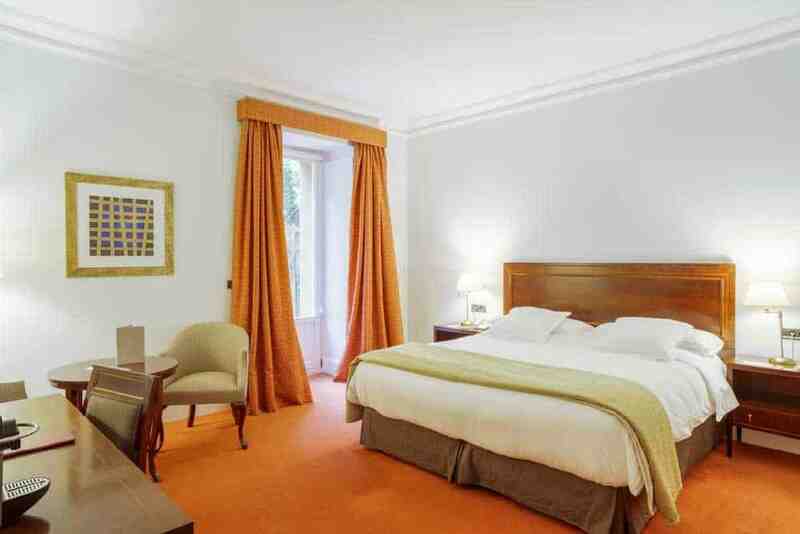 The rooms are also sound proofed, making it easy to get some sleep after a long day of sightseeing. The staff at Hotel Astoria7 help you feel at home. The hotel includes a café bar with a buffet breakfast and traditional tapas or pintxos. You can also grab lunch at the onsite restaurant and enjoy fresh seafood from the bay. Despite the unique furnishings and variety of amenities, the hotel is exceptionally low priced. It offers the best value, but it’s a little further away from the centre. Located in a secluded neighbourhood, Hotel Villa Soro helps you get away from the hustle and bustle of the city. It’s housed in two classical buildings, including a Historical Heritage Building, but the rooms feature modern furnishings. The stately manor is surrounded by trees and an upscale residential district. While Hotel Villa Soro isn’t located in Parte Vieja or near the beach, it’s one of the most romantic spots in San Sebastian. You can enjoy a little solitude between trips to the city. During your stay, you can enjoy local dishes at nearby restaurants or take a short walk to the Concert and Convention Center. Despite the location of the hotel, you’re still able to walk to the beach or the old city centre. Old Town is less than 1.5 kilometres away. Overall, you get a great value for a four-star hotel and staff that cater to your needs. Friendly staff and unique designs await you at Hotel Arima. 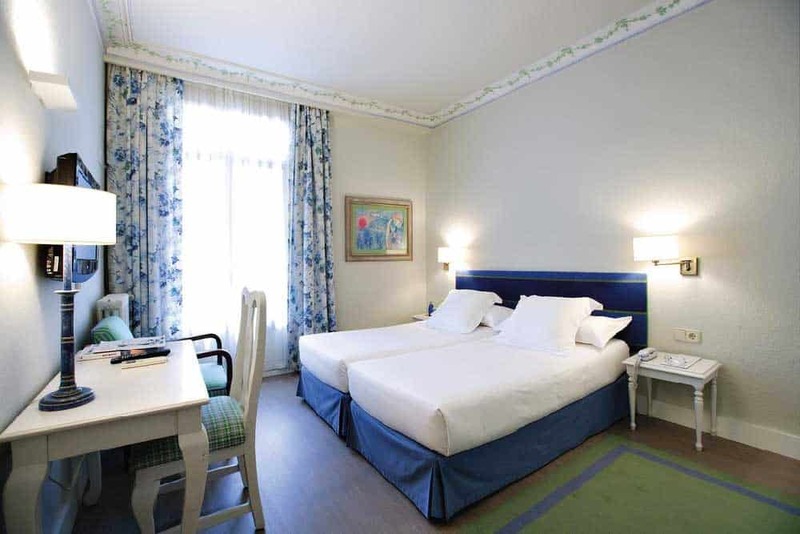 This Scandinavian-style hotel is situated to the south of Old Town, near the city’s hospitals and the Basque Culinary Center. Modern designs are found throughout the hotel, including the lobby and individual rooms. Like most of the hotels in the city, the staff at Hotel Arima aim to please. They can help you plan the rest of your trip, provide directions, and offer recommendations for the best places to eat or shop. There is also a complimentary shuttle service to take you to and from the airport. Each morning, the staff puts out a glorious spread. The free breakfast buffet includes a variety of foods to suit every taste, including vegan and gluten-free options. Later in the day, you can enjoy a meal or a drink at Tilia Deli & Café or Misura Restaurant. If you can’t decide whether you want to stay near the beach or Old Town, Hotel Villa Victoria by Intur has you covered. This hotel is in the part of the city that separates the beachside area from Parte Vieja. You’re just a few minutes from the sandy beaches and a few minutes from the historic sites in the old city centre. When staying at Hotel Villa Victoria by Intur, you get a free breakfast. While the hotel doesn’t have its own onsite restaurant or café, there are dozens of dining options within a few hundred feet of the hotel. The staff is also happy to provide their own recommendations. The hotel is relatively brand new, but it’s quickly becoming one of the best-rated hotels in the area. One of the most attractive features is the price. It’s hard to find lower rates without choosing low-end accommodations or hostels. 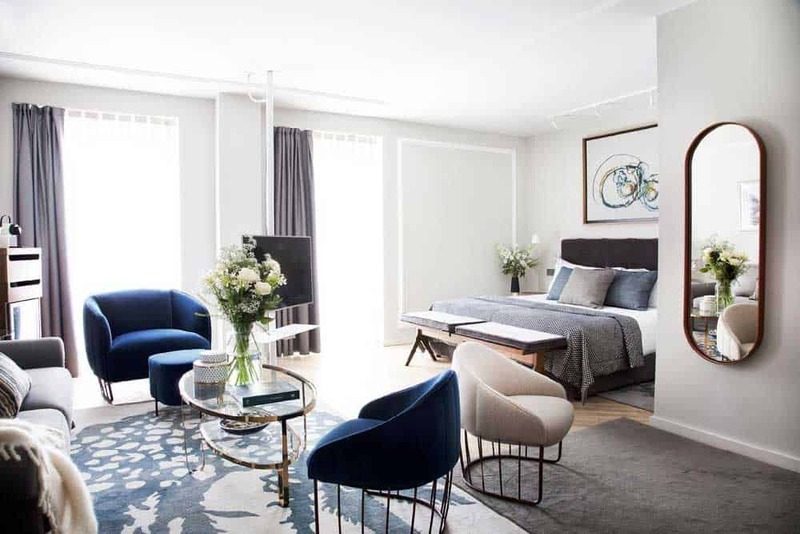 While it’s technically a two-star hotel, the clean sheets and friendly staff make you feel at home. While most people that stay at Hotel Leku Eder love their experience, it may not be the perfect spot for everyone. It’s one of the furthest recommendations from the old town, as the hotel is located on the west side of the bay. You’re about 2.25 kilometres from the beach and even further from the historic sites. Luckily, Hotel Leku Eder is across the street from a bus stop. You can hop on a bus and travel to any part of the city. You’re also still within walking distance of Ondarreta Beach. As this beach is a little less popular compared to La Concha, you may get to find a spot on the beach that isn’t already claimed by another beach-goer. There are pros and cons to choosing this location. The hotel is affordable and clean, but slightly farther away from everything. Overlooking the bay, Hotel de Londres y de Inglaterra is housed inside a 19th-century building, giving you a taste of the history of San Sebastian. It’s also right near the seafront promenade, providing access to seaside views and traditional Basque cuisine. In the evening, you can enjoy cocktails at the Hotel de Londres y de Inglaterra’s onsite bar. The English-style bar features a seafront terrace, so you can enjoy views of the water as you sip your drink. While these are great features, the best reason to stay here is the surrounding restaurants. The hotel is surrounded by tapas restaurants, bars, and cafes. The city’s convention centre is also just a few minutes away. This mid-range hotel provides a convenient location, with access to landmarks and restaurants, along with great views of the sea.